A full body massage usually helps in making one emotionally and physically good. This procedure may also aid in drawing two individuals closer together. The full body massage should be given with precision and with understanding of the correct way of doing it. Thsre should be no disturbances or discomfort in the room. This is because an experience of discomfort will lead to lack of enjoyment of the massage. There should be either a clean and soft bed, massage table or rug to lie on. The temperature inside the room should not be very low. Lit candles in the massage room usually bring a desired feeling in the client. The lights may also be turned down low or completely off so as to remain only with the candle light. The smell emitted by the lit candles should be able to provide a relaxation feeling. There should be some relaxation tunes playing in the massage room. A good massage attendant understands that the massage session is about you and hence seeks to understand your liking. The massage should be done using a specially produced oil for massage. There should be an availability of as many towels as would be needed during the massage session. The towels are usually for covering the working surface, to cover the client’s body and also to wipe excess oils from the attendant’s hands. A good massage should begin from the feet working to the other parts of the body. This is usually achieved by covering the foot using the hands and then pressing by the use of the thumbs. The toes should be pulled gently, one at a time. The massage procedure should then be worked upwards to the legs. This should be done by giving gentle relaxing strokes to each leg beginning from the thighs. The next step should be massaging from the lower back while working to the upper back. A good massage usually works from the back towards the upper part of the body. The neck should be taken care of using the press and release procedure. The massage procedure should be carried on to the hands and arms. The final part of the massage should be the head and face by using thumbs to gently do the massage. A perfect massage should always be done slowly so as to give a relaxing experience. Each part of the body should be taken care of individually and in a slow manner. A good massage should be done in a proper and professional manner. Communication is always important in achieving a successful massage. A massage therapist is usually able to comprehend the client’s liking through proper communication. Knots should be well taken care of so as to release them. 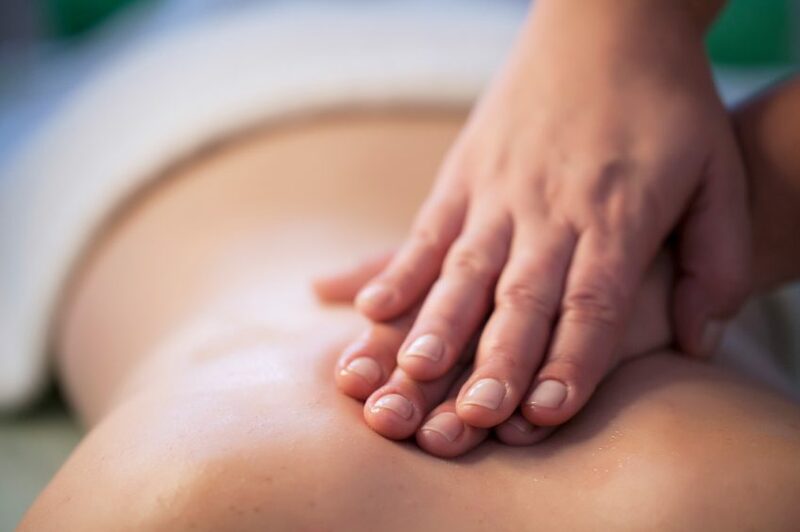 The backbone and all the other bones should be avoided during a massage session.